Kudos to bag-o-snakes. I’d be pretty hard pressed to remember ANY of my passwords. What a pair of hemipenes. Well, Chris, I bet you could remember one password if the option for forgetting it was a slow and painful death. “Slow and painful death”? Where did THAT com from. And no, I don’t think I could. Most of my passwords look like this “3&khd!f66Gfe9s.” They’d have to kill me. I have read that pass phrases of 4 words can work even better. I tend to choose passphrases that are made up of common words. The example I use (which I can do because the place where I used it was closed 20 years ago, its computers long since scrapped) is, “My favorite boyfriend is called Gregory” Which becomes “mfbicg” (This was LONG before you could use mixed case characters and more than 8 characters in your password.) Pad it with some numbers (i.e., today’s date) and there’s your password. I worked with a woman who had a daily bible quote calendar and was fond of posting favorite quotes to her cubicle. I showed her this technique and explained how she could generate a password from that day’s quote; she could then post the quote with all the others on the wall, hiding it in plain sight. 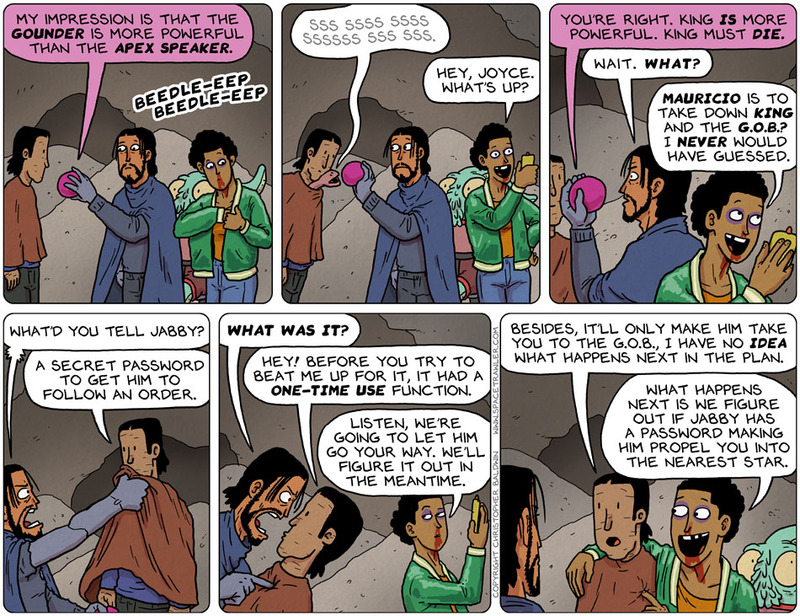 I tend not to discuss my password habits in any public forum, for the obvious reasons. I trust Anesu, beaten-up and dizzy as she is, still understands that Bag-O-Snakes here has a compatriot if not an entire organization at the G.O.B. waiting for King to go down, and that sufficient ‘leverage’ carefully applied could reveal their identities. I wonder how Bikkie would feel about punching out a bag of snakes. Come to think of it, I wonder how Bikkie WOULD punch out a bag of snakes. @PeterRogan, … I wonder how Bikkie WOULD punch out a bag of snakes.